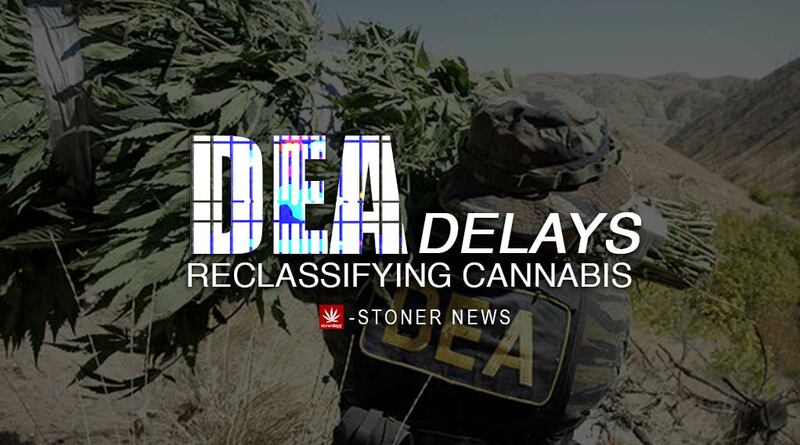 Unfortunately for cannabis advocates and stoners everywhere, a senior executive at the DEA has confirmed that the Drug Enforcement Administration will not be announcing the rescheduling of cannabis in 2016. “The DEA is not going to reschedule marijuana this year. They aren’t issuing a public announcement about that change,” the attorney adds. Currently, cannabis holds a Schedule I classification, making it “legally” one of the most dangerous substances and also not allowing much leeway for research. The Schedule I class also has no medical value, according to the DEA. Marijuana advocates have been working hard in order to get the DEA to move cannabis to a Schedule II, which would acknowledge the fact that cannabis has a medical use, as well as allow room for more research to be done on the plant. Back in April, the DEA sent a letter to lawmakers saying that the agency would release a statement on the rescheduling of cannabis in the first half of 2016. But when July 1st came and went and the DEA stayed silent, questions began. “We do not have a date set to make an announcement about that one way or another,” a DEA public affairs rep said. The way it sounds, we won’t be seeing that reclassification this year. The DEA has repeatedly attempted to make a joke out of medical cannabis. The head of the organization called the plant a “joke”, a slap in the face to those patients out there who utilize cannabis in order to live out a normal day with no pain. If researchers cannot study the plant, we will never know it’s full potential use. It could possibly help so many people, solve so many of the problems that face our country as well as the world. With a renewable resource such as hemp and a medicine like cannabis, the world would be a much better and cleaner place to live. Unfortunately, we can only continue to wait for the DEA and other government organizations to come to the realization that cannabis is something that can help and people should absolutely not be jailed for it. This entry was posted in Stoner News and tagged cannabis, DEA.